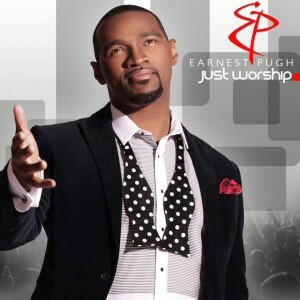 Earnest Pugh draws peo ple into the presence of the Lord on his new EP, Just Worship hitting retail and digital outlets September 2nd. Pugh is assisted by veteran producers Michael Bereal (Beverly Crawford, Norman Hutchins, and Judith Christie McAllister) and Grammy Award winner Cedric Thompson (Donald Lawrence, Stephanie Mills, Karen Clark-Sheard) in the creation of the disc that features music culled from the many worship experiences from Pugh’s live concerts. A CD release celebration will be hosted by Pastor Keion Henderson and the Lighthouse Church family, where Earnest serves as Worship Pastor. Joining in the night of praise are Deric Lewis of Austin and Keith Williams and the Lighthouse Church Radical Praise Choir. This entry was posted on Tuesday, September 2nd, 2014 at 11:58 am	and is filed under Uncategorized. You can follow any responses to this entry through the RSS 2.0 feed. You can leave a response, or trackback from your own site.